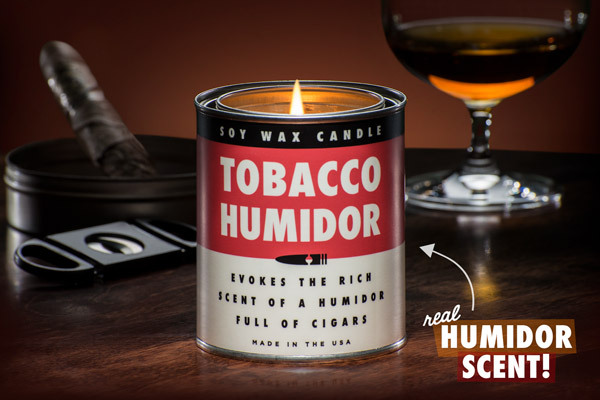 Tobacco Humidor Candle: A soy wax candle scented like a humidor full of cigars. A soy wax candle scented like a humidor full of cigars. Lighting up a cigar isn't great for your health, but lighting a candle scented like a tobacco humidor could do wonders for your mental health. 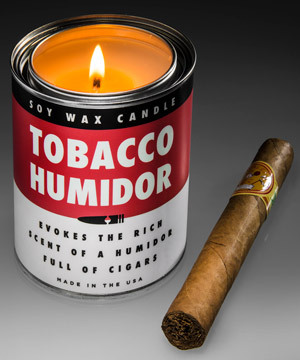 Enjoy the luxuriously delicious aroma of a humidor full of cigars when you light up the Tobacco Humidor Candle. Made from cleaner-burning soy wax, the quality-made candle can provide up to 80 hours of the rich wafting of sweet fermented tobacco and wood. Walk into a tobacco humidor and you’ll be greeted with a distinctively powerful and pleasing aroma. Bring the classic smell of cedar and fermented tobacco into your home when you light a Tobacco Humidor Candle. This candle nose what's up. 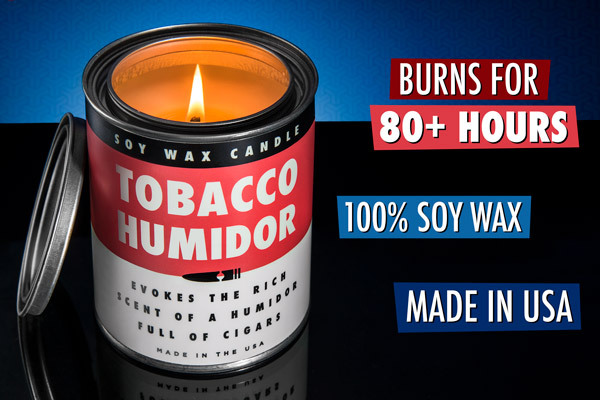 The Tobacco Humidor Candle boasts a confident scent, and its quality backs it up. Made in America, the clean-burning soy wax candle can perfume your bedroom, bathroom, or den for up to eighty hours. Heck, if it wouldn't throw off the humidity, it'd be worthwhile to burn one in your walk-in humidor. 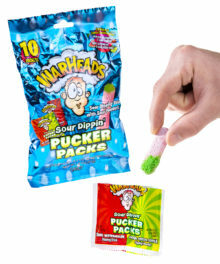 Question: Does it cause the same ill health effects as real tobacco products? 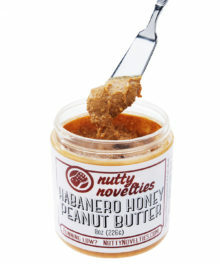 Answer: Nope, this is a candle that's merely scented like a humidor. 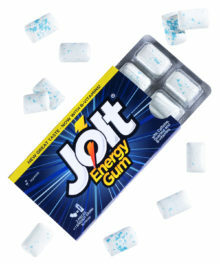 It has the same health effect (mostly just improving your mood) as any scented soy candle. 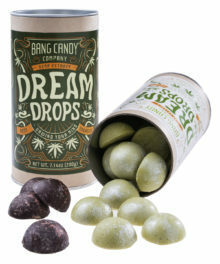 Question: Does it contain any tobacco? Answer: Amazingly, the manufacturer managed to replicate the scent of cedar and tobacco without actually using any tobacco. Hooray science!